This lease of a restaurant addresses the rights and obligations of the landlord and tenant. Schedules are included, detailing the premises, rights granted by the landlord, reservations excepted from the lease by the landlord, services, tenant’s licensing covenants and tenant’s trading covenants. It also includes the documents and wording required under the latest regulations to exclude the security of tenure provisions of the Landlord & Tenant Act 1954. 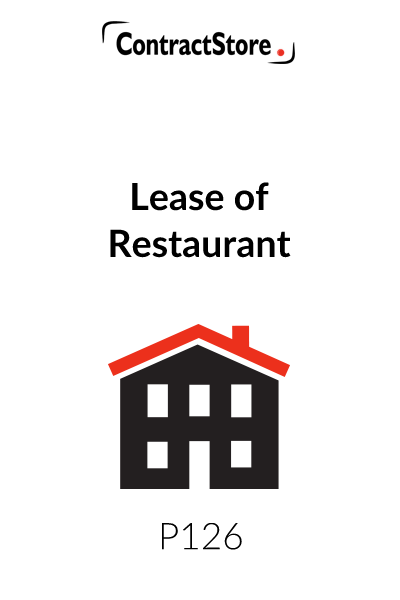 The restaurant lease is designed for use in England & Wales. 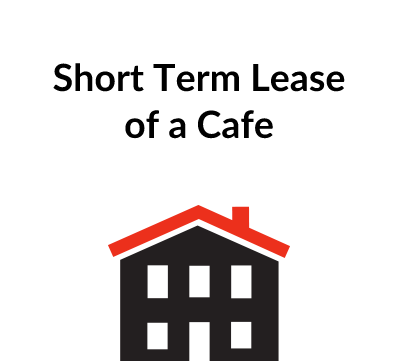 This form of lease is intended for use where a building, divided up into separate units, is to be let for a restaurant. It is based on the form of our commercial lease (P106). The key legal effect of a lease is the grant of a leasehold estate. This is called a demise – the right to possession of the premises for the term of the lease. Beyond this, leases create a number of other legal effects, including obligations to pay rent, obligations to maintain and specified remedies. It will be in the landlord’s best interests that the restaurant is well run to a high standard as this will enhance the value not only of the premises themselves but also of the building in which they are located., and in turn this will enhance rental values. A landlord may, therefore, want to add “high class” to the definition of “Permitted Use” in clause 1.1. The clauses set out in paragraph (a) of Part 6 of the Schedule may also need modification depending on the landlord’s requirements for the restaurant. A landlord may also want to impose a restriction on the type of restaurant. There may be, for example, an existing Chinese restaurant in the building and so perhaps the landlord will want to exclude this type of restaurant for the protection of the existing tenant. This can be done by adding the words “but not a Chinese Restaurant” to the definition of “Permitted Use” in clause 1.1. 1. The condition of the premises – the lease provides in clause 4.1.2 that the tenant has to carry out repairs. The tenant will not want to carry out repairs in respect of defects which existed before the lease was completed otherwise these could amount to improvements for the landlord’s benefit. The tenant should, therefore, survey the Premises and record in writing and perhaps with photographs what condition the Premises are in before completing the lease. 3. The landlord’s legal title – the tenant should ensure that the landlord is the owner of the building and is, therefore, in a position to grant the lease. The landlord’s legal title may be registered at the Land Registry and, if so, a copy of the Register for the title should be obtained with a copy of the title plan. If the title is not registered, then the landlord may have to prove his legal ownership by producing copies of his deeds. In addition, if the landlord has charged or mortgaged the building to secure a loan, then the consent of the lender will probably be required. There may be other questions relating to the landlord’s title and it may be necessary to seek legal advice on this particular aspect. In England and Wales, under the Landlord and Tenant Act 1954, a business tenant is entitled to have his lease renewed at the end of the term except in certain specified circumstances, in particular, for example, when the landlord wants to redevelop the site. It is, however, possible to exclude the provisions of the Act so that the tenant does not have this protection. If the Lease is for a term of more than 7 years, then it will have to be registered at the Land Registry. 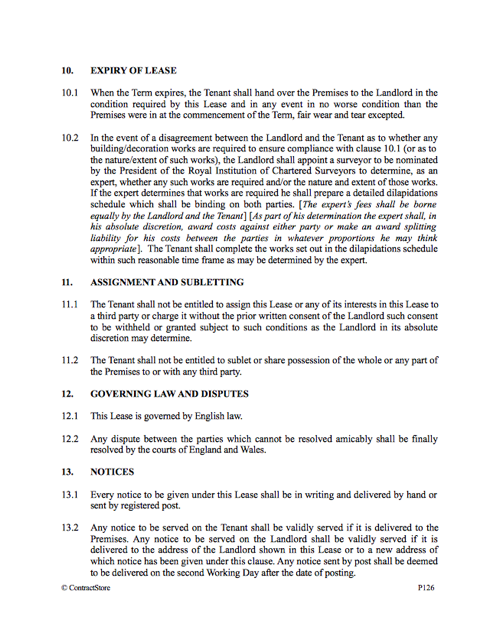 The Land Registry prescribed clauses should be included at the beginning of the lease. The Land Registry web page (www.landregistry.gov.uk) is very helpful and there are a number of leaflets online as well. Date – this should be the date upon which the lease is signed by both parties. Parties – the full name and address of each party should be inserted here. Where the landlord or tenant is a limited company, the registered office address of the company should be shown and the company registration number. Opening Hours – examples are given. The term i.e. duration of the lease with the commencement and expiry date. The rent: this will normally be an annual sum and we have two alternatives – either inclusive or exclusive of service charges. Note also the wording in square brackets relating to a “rent free period”. Such provisions are occasionally agreed by parties e.g. where a landlord needs to let property in a “tenants’ market” or where the tenant has agreed to carry out remedial work to the premises and insists upon a rent free period in return. Rent review dates, for example, if there is a five year lease, it might be subject to review at the end of the second year and annually thereafter. . 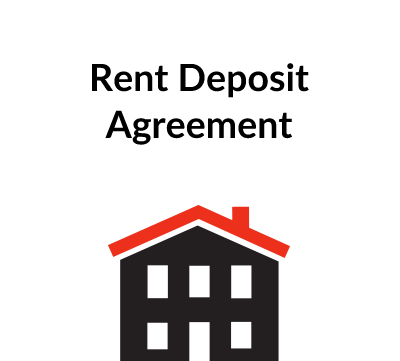 This sets out the basic agreement – namely that the landlord will grant the lease under the terms set out in this document. 3.2. applies where the service charge is payable in addition to the rent. 3.3. to 3.5 make it clear that late payment of rent will entitle the landlord to interest and they also deal with the method of payment and the fact that the tenant cannot make any deductions from payments which are due. 3.6. deals with the deposit where this is applicable. 4.2 This refers to additional obligations set out in Parts 5 and 6, and these relate to the use of the premises as a restaurant. Part 5: – Some of the Licences may already be in force when the Lease is granted and will continue. The “Premises Licence” from the Local Authority for alcohol may be an example of this. The Tenant (or the Landlord) may have to apply for new licences. There may be special requirements for music and other forms of entertainment. The definition of “Licences” is intended to be very wide. Part 6: – As mentioned above, it will be in the Landlord’s best interests (as well, of course, as the Tenant’s) for a high standard to be maintained, and so this part of the Schedule sets out detailed obligations for the tenant to help achieve this. The provisions here may have to be adapted to cover the particular circumstances. 4.3 This deals with the charges for which the tenant is going to be directly responsible. This deals with the procedure for agreeing a new rent and the possible appointment of an expert if there is disagreement. The name of the organisation to appoint the expert needs to be inserted in clause 7.2. This could, in the UK, for example, be the Royal Institution of Chartered Surveyors. Where a rent free period is agreed this clause makes it clear that, for the purposes of the rent review, such rent free period is to be ignored. As drafted, this agreement is governed by English law and disputes are referred to the courts. 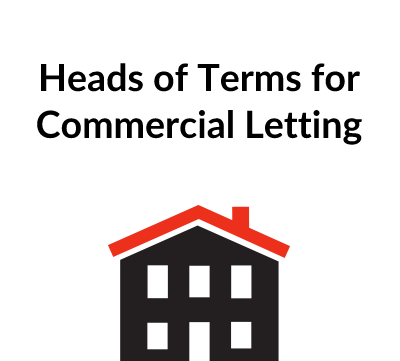 Under the Landlord and Tenant Act 1954, a business tenant is entitled to have his lease renewed at the end of the term except in certain circumstances, in particular when the landlord wants to redevelop the site. It is, however, possible to exclude the provisions of the act so that the tenant does not have any protection. NOTE: For further information on the Procedure for Contracting Out please see our free document Z166. 1. A Stamp Duty Land Tax Return. by the Tenant and payment of any Stamp Duty Land Tax. The Tenant should refer to the web page of H M Revenue and Customs (www.hmrc.gov.uk/so/index.htm) to see what is required. The Return can be downloaded and then filed. There is a calculator to see if the Tax is payable. 2. Registration of the Lease at the Land Registry. The tenant should refer to the Land Registry web page for further guidance and the forms which have to be used. A fee to the Land Registry is also payable.